Quarians Will Be In Mass Effect: Andromeda After All | Nerd Much? Just when you were prepared to compromise your love for Tali with that positively adorable looking Asari, it turns out Quarians officially made it to Mass Effect: Andromeda. Either because BioWare is incapable of keeping a secret or this was intentionally let loose upon the public, in the sixth and final Andromeda Initiative trailer, Quarians are mentioned. The narrator lists off the various planets the player will be visiting and one of them is particularly special “for our Turian and Quarian colonists, Habitat 5 appears to be a perfect home for dextro protein life” (at the 2:10 mark). 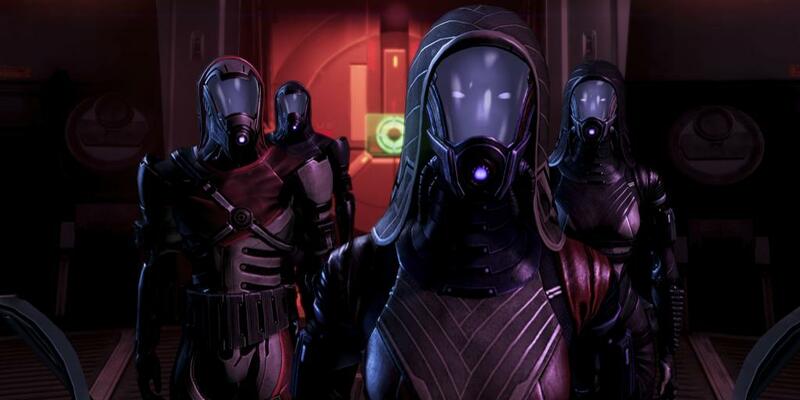 However BioWare plans on including the Quarians, it’s good to hear that such an original favorite will still be a part of the fourth Mass Effect game in the series. How do you think Quarians will look in the new game? Will unmasking them really make them lose their lustre? Let us know in the comments below!